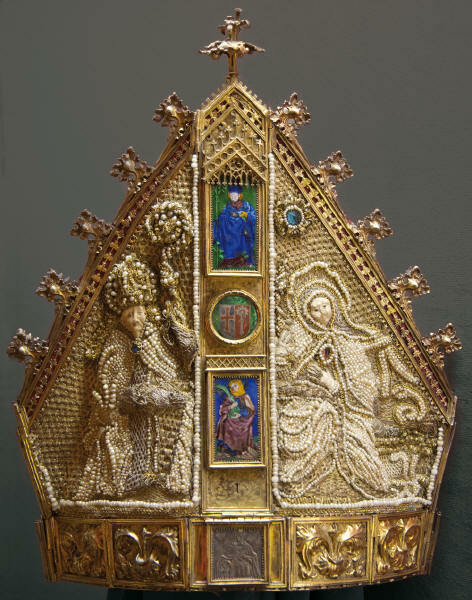 The monastery Kreuzlingen was founded around 1125 by the Constance Bishop Ulrich I as Augustinian Monastery. 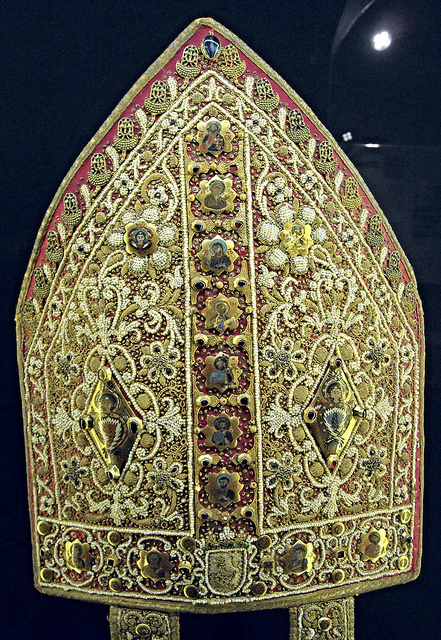 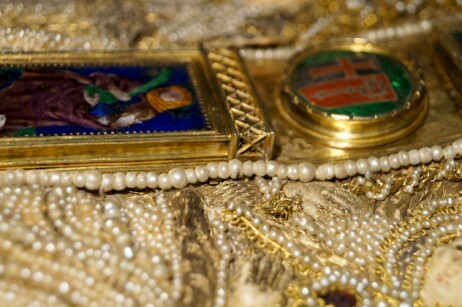 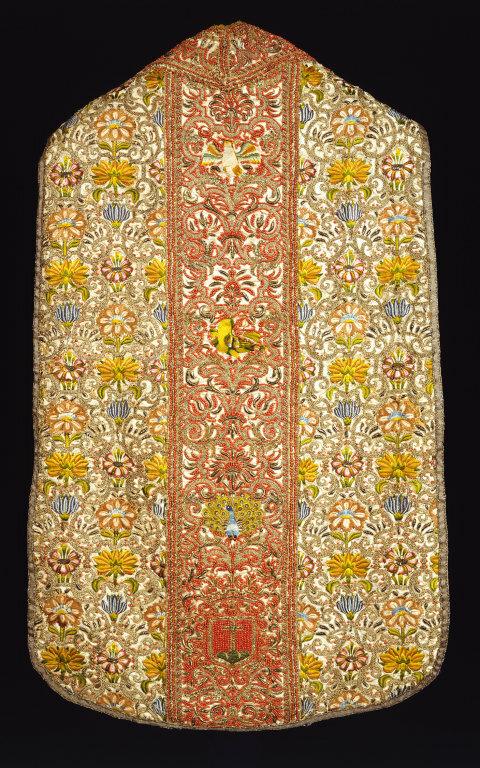 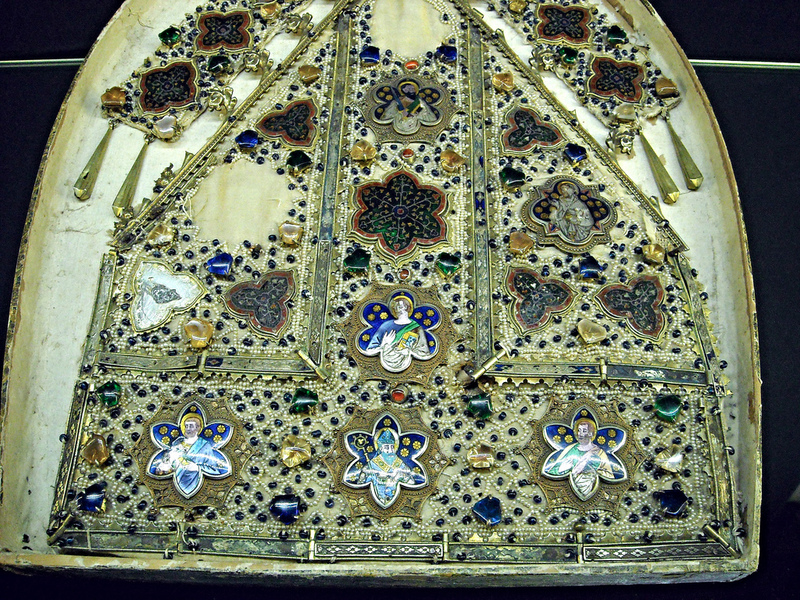 The Mitra, a magnificent goldsmith work with translucent enamels and elaborate beadwork, now in the inventory of the Historical Museum Thurgau in Frauenfeld, is so far attributed to the Abbot Erhard Lind. 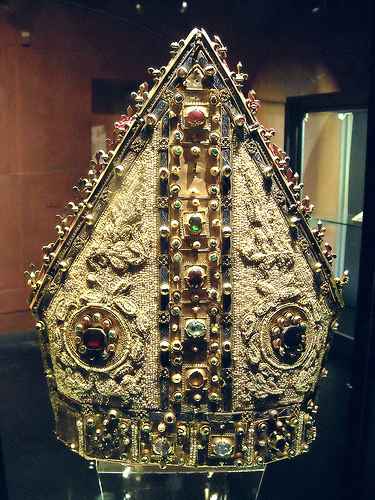 Legend has it that Pope John XXIII. 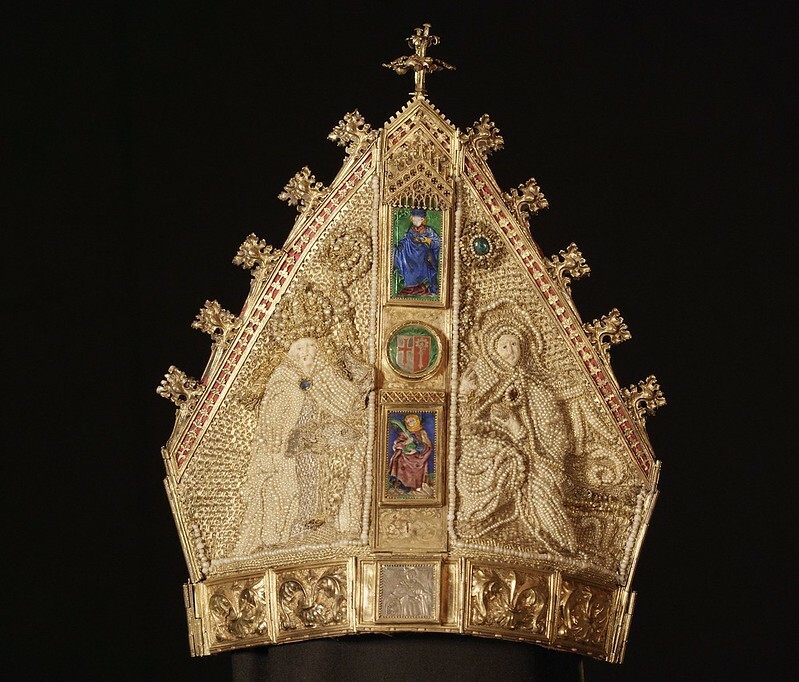 as a gift on the occasion of an overnight stay of the Pope and his more than 600-member allegiance in the monastery Kreuzlingen on October 27, 1414 on the way to the Constance Council to the Abbot handed over. 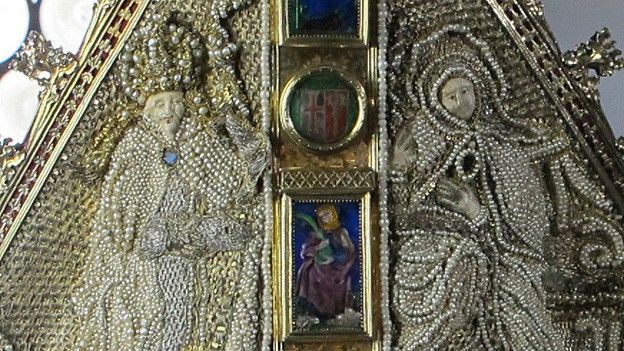 The Mitra is an exquisite late medieval goldsmith’s work of outstanding importance. 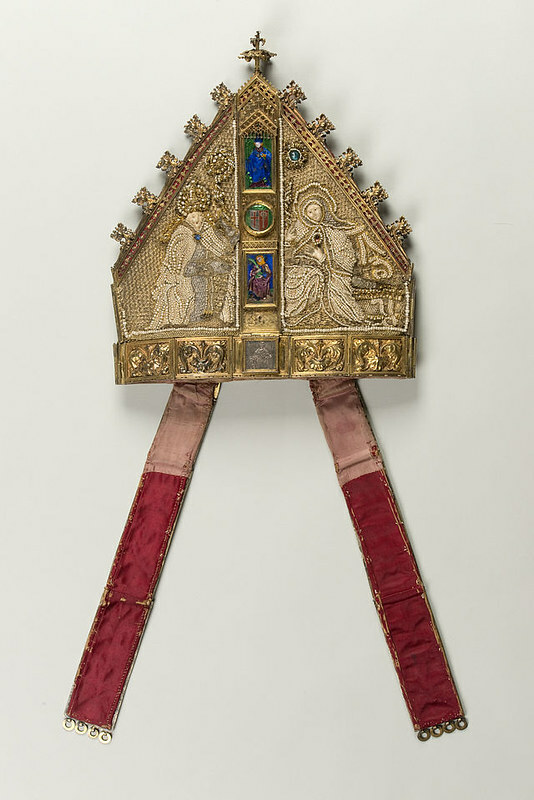 It will be presented for the first time after the restoration in 2014 at the Constance Council outside the premises of the Historisches Museum Thurgau. 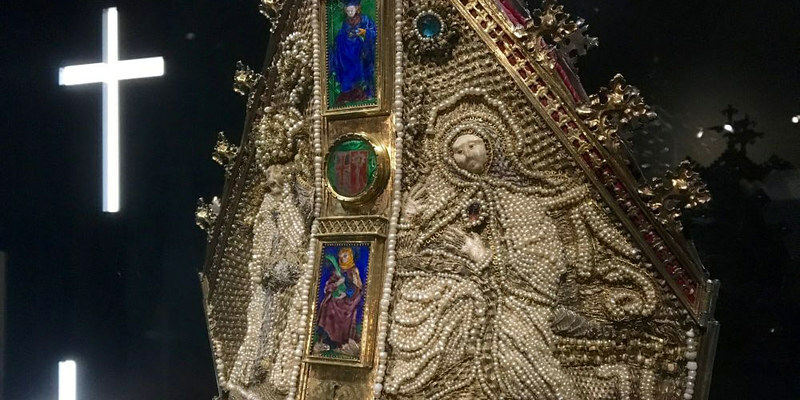 In collaboration with the scientific management and textile restorers of the Abegg Foundation, the Competence Center for Textile Restoration in Riggisberg, the showpiece will be extensively examined and conserved art historically and art-technologically.